Home / Travel and Living / ISKCON Temple Madurai: Is it worth a visit? While I was looking for places to explore in Madurai, ISKCON temple came up as an option. As I was debating if I should go there, one taxi driver said he is not aware of ISKCON temple. Second one said “there is nothing, no need to visit”. Another Ola driver said “I know it is there, but don’t know if it is good or not”. Apparently no one in Madurai seem to take this temple seriously. Internet literature confirmed that temple exists but very small. With no other attractions left worth visiting around Madurai town, I decided to go there anyway and take a look. 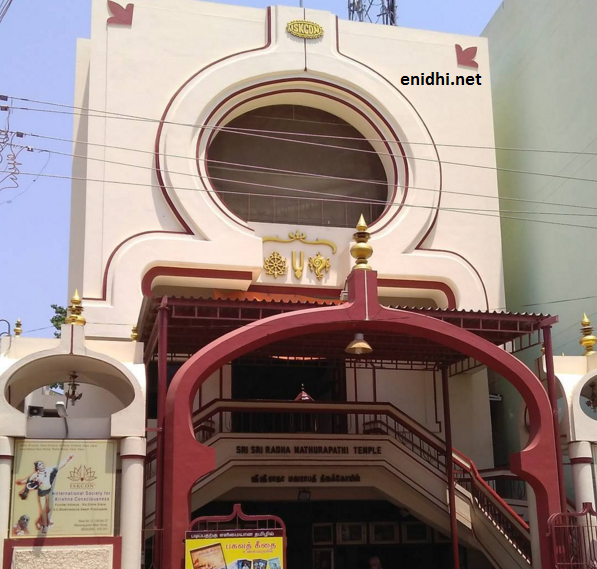 ISKCON Madurai is a super small building located in a small alley some 2kms away from Meenakshi temple. in Below are my findings and opinion about ISKCON Madurai. Is ISKCON Madurai a must visit attraction? Is ISKCON Madurai worth a short visit? Is there a fee involved to visit ISKCON Temple in Madurai? No. Entry is free, Shoe Stand is free. Free drinking water is provided for visitors. Of course you are free to donate or buy some books. What are ISKCON temple Madurai opening timings? 5.30 am to 1 PM and 4 PM to 9 PM is the opening hour. Even within this, most of the time the idols will be in a covered status. Which means you can enter the temple building, but if you wish to see the god, you will have to wait (few minutes to half an hour or so max) till the curtain in-front of the idols is removed. So if you are going there go with at least 30 minutes to spare. Where exactly is ISCON Temple in Madurai? 12/37, Maninagaram Main Road, Madurai, TN 625001. About 2 kms from Meenakshi amman temple, in the heart of Madurai city. I wonder why cash rich ISKCON management settled for such a small campus in Madurai. There is a Hugh one wight beside my house in Delhi and visitors rush in all day long ..
Sure Ami. It is not a bad place. Yes, it is very small compared to ISCKON temple at Bengaluru and Hyderabad. Did they allow to click photos? In Other ISCKON temples photography is strictly prohibited. In Chennai IKSCON I have seen people clicking pics and temple staff don't mind. Madurai also I clicked a few at the entrance, they didn't say anything. There was a board near the deity. Bangalore has max security- bags etc need to be deposited..
HI Shrinidhi, right the ISKCON is small compared to other Metro ISKCONs and still its neat, clean and peaceful as can be gauged from your super clicks. That's what I prefer in mandirs ( temples ). The larger the temples , it's crowded, noisy, messy and harder to pray. 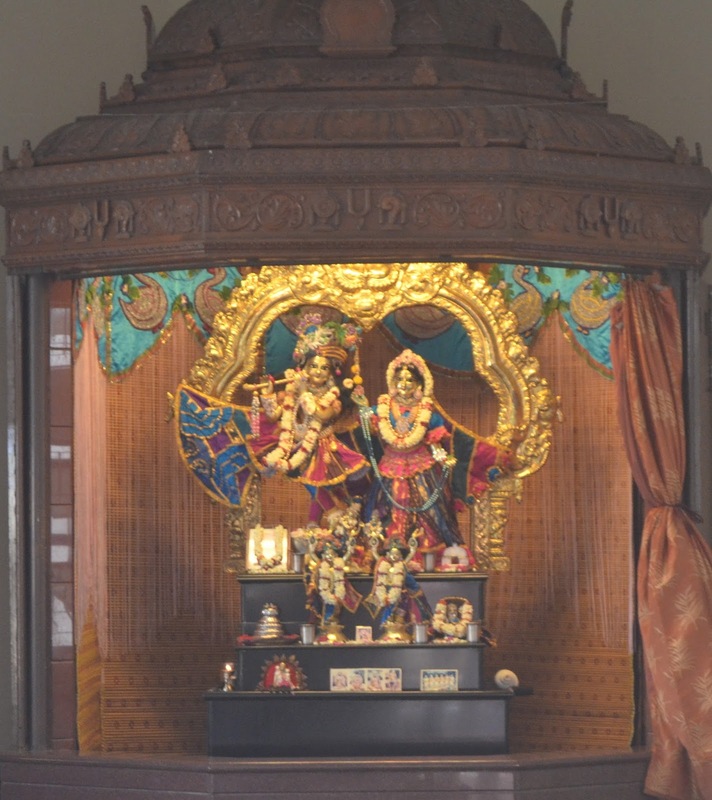 Have you visited the Mumbai-Juhu ISKCON ? Iam here at madurai iskcon. Watever size of temple is not matter.. u got space to sit there and get urself relaxed. Its gud place in madurai. Maximum visit on sundays.